After clicking over just short of 1000km of riding so far, we were all well and truely looking forward to a day without having to get back on the bikes. The morning started nice and late with breakfast at 9:30am and then Jarrod and I decided to make the most of hotel facilities and get a massage. With four days of solid riding under our belts things were starting to get a bit sore so an hour-long massage was a brilliant way to start our rest day. 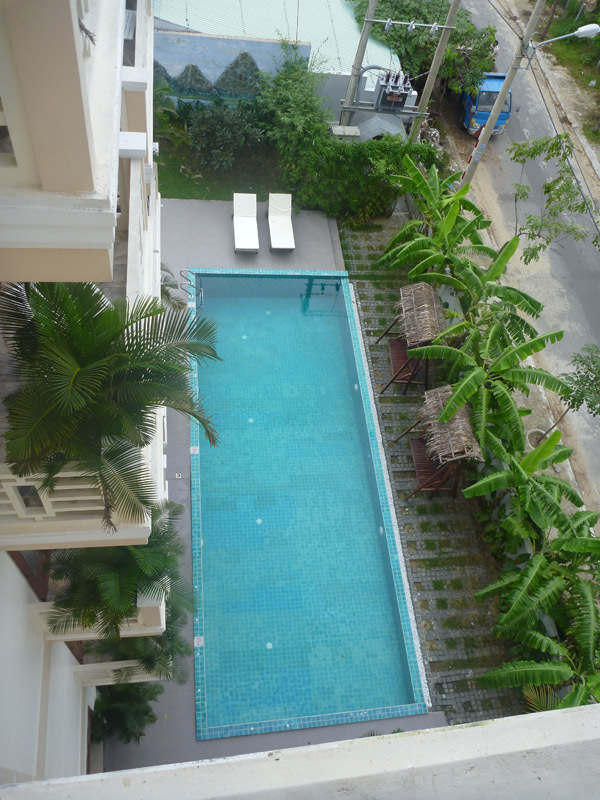 After that we moved to hotel pool to chill out for a while. 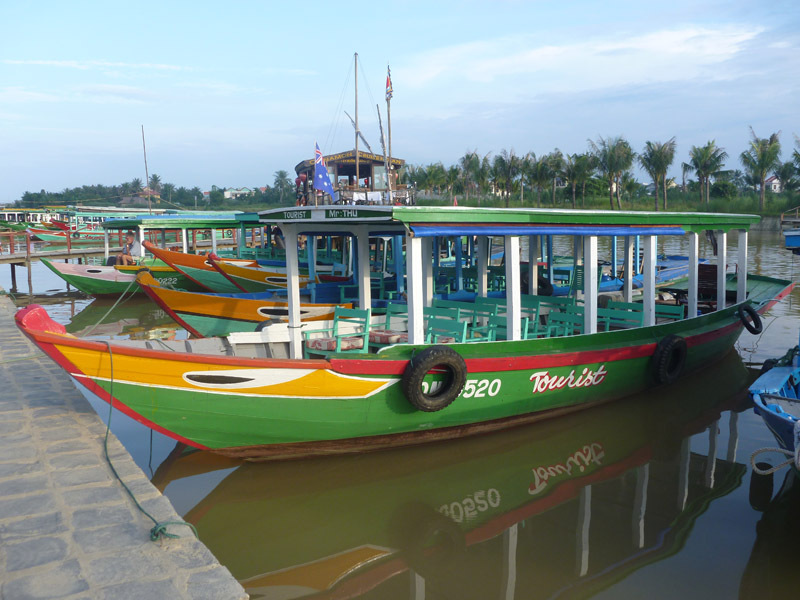 By about lunch time we decided it was time to get out and explore Hoi An. 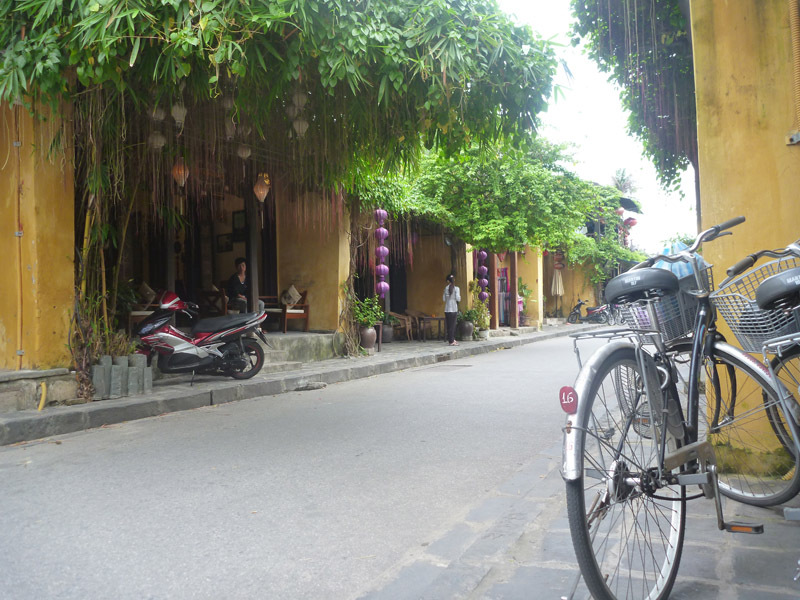 Old Town (Ancient Town) covers the 3 or 4 streets closest to the water and is completely blocked off to vehicles and motorbikes. The only way to get around is on foot or by push bike. The surprising thing is how well the heritage of Old Town has been managed. 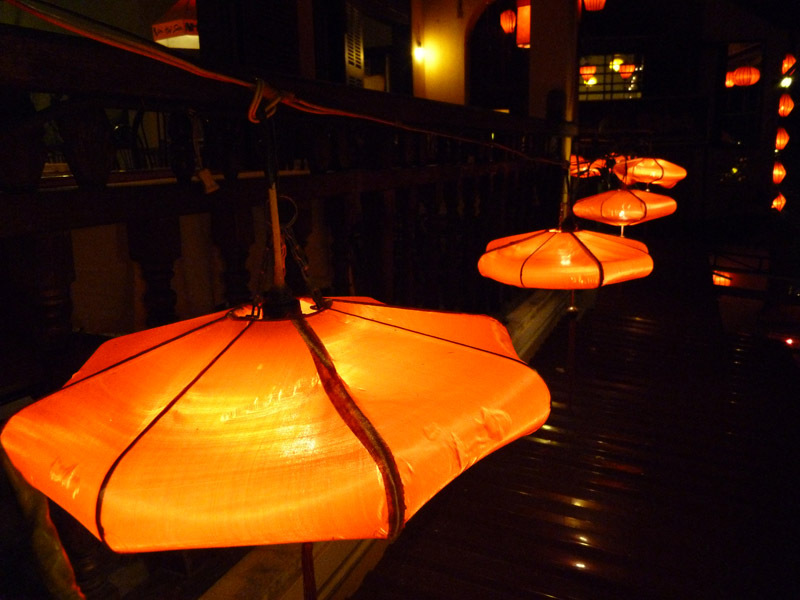 Especially in a place like Vietnam, you expect it to have been turned into a tourist attraction with a cover charge at the entrance. Instead they’ve managed to preserve the brilliant old buildings and fit the countless tailors and cafe’s into them without destroying the appearance or charm of the place. 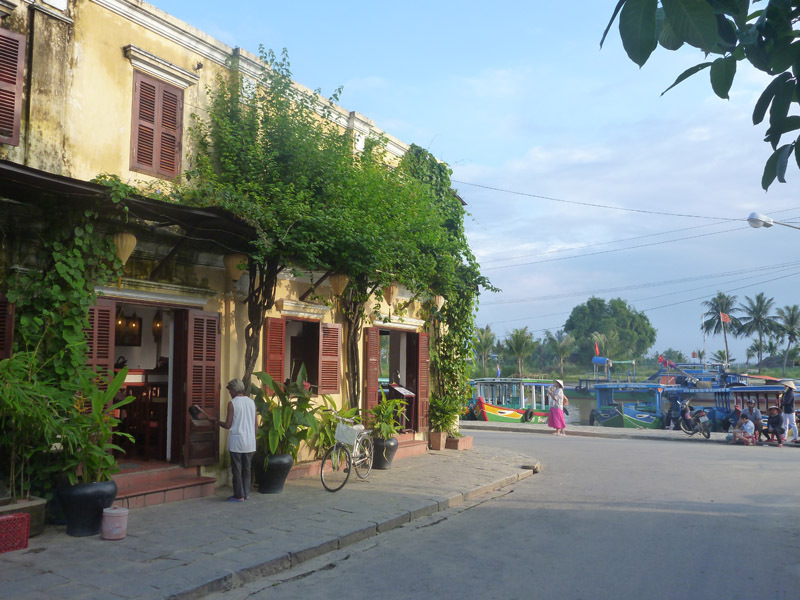 Because of the way its been preserved Hoi An is also a photographers paradise. I could have spent weeks here just wandering around taking pictures. 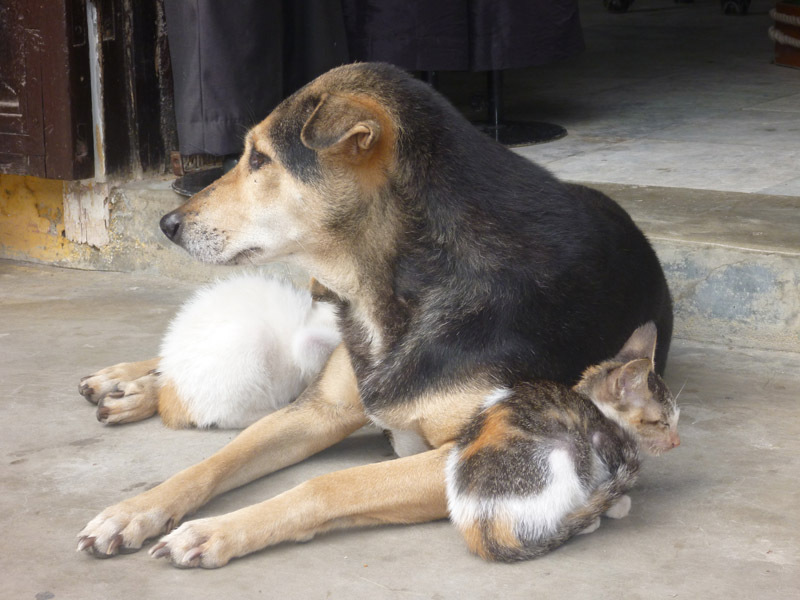 A bit cheesy but I couldn’t not get a photo of these guys curled up on the sidewalk. 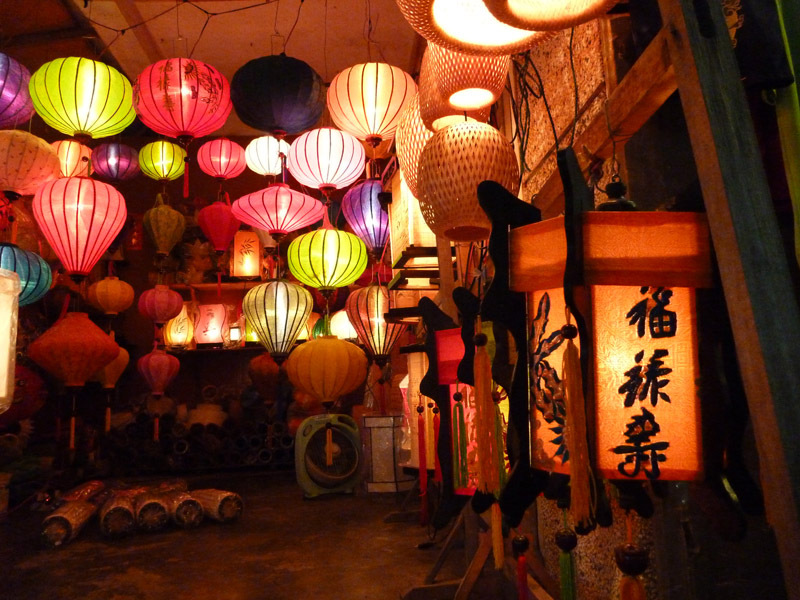 We spent the afternoon wandering around the streets and checking out the markets. Had I been able to understand Vietnamese swear words I may have been somewhat offended by the time we left the markets but thankfully I can’t. While the other boys tended to be rather soft with their negotiations (Shaun actually tried to increase the price on one item) I’d quickly picked up the lower limits of what people would go to on items and would stick to my guns. This infuriated some of the stall girls as numerous times I crashed the other guys negotiations with far lower prices than they had suggested and wouldn’t let them budge. I’m sure plenty of it is just for show but despite nearly always getting a sale there were plenty of frowns and words mumbled under breaths at me when I left. Mid afternoon it was back to the tailor to get our suits fitted. Very stylish indeed (although apparently I ate too much for lunch because the pants didn’t come close to fitting). 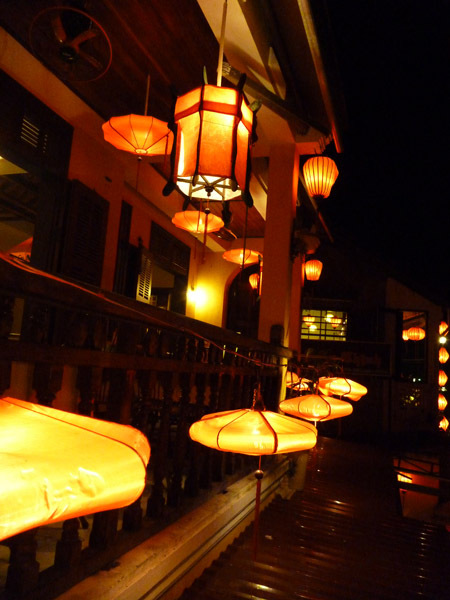 By night, Hoi An gets even better. We were meeting some friends for crab for dinner but I got seriously distracted along the way as you’ll see below. 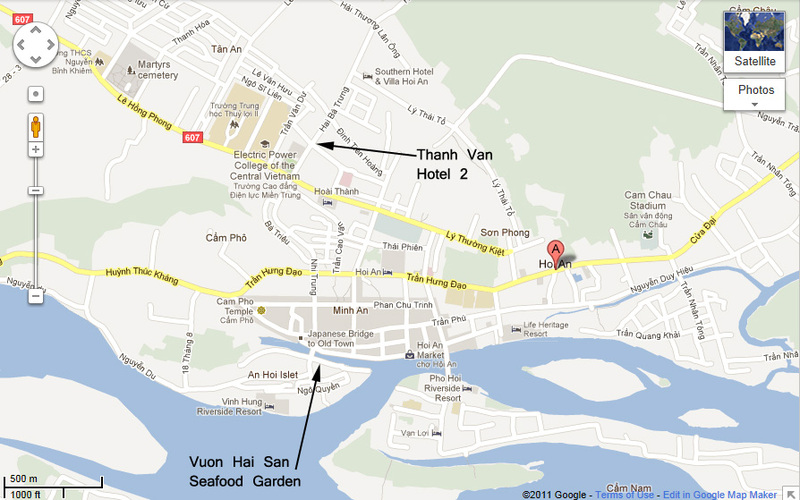 Vuon Hai San Seafood Garden. 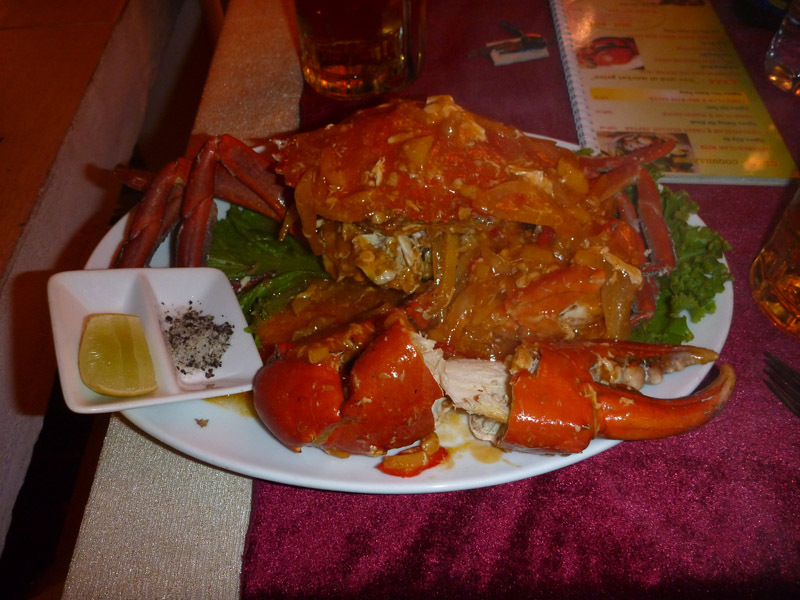 The best crab in Hoi An I’m told and I would have to agree. 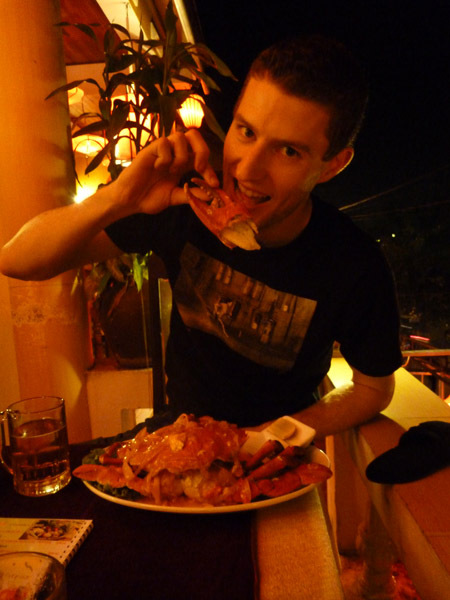 For US$12 we ate the best whole chilli crab I’ve ever eaten. We didn’t kick on too late as it was back on the road tomorrow and both Shaun and I were still feeling the effects of the dodge pizza we’d eaten the night before. 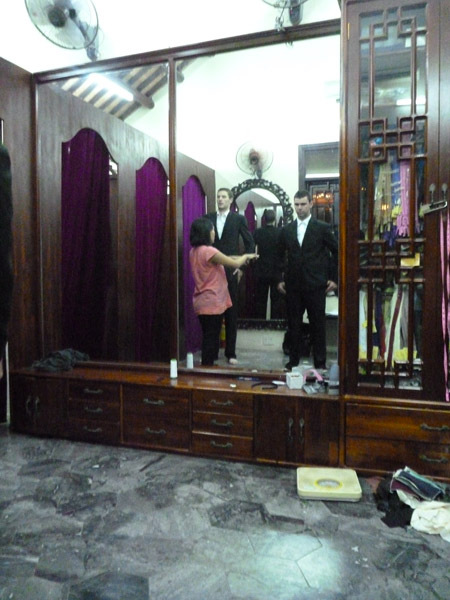 We had to go back and pick up the suits after dinner and having seen how good their work was we also opted to get a few more shirts made at short notice. Form there we found a cheep pub for a couple of beers but we had made our way back to the hotel before long and settled in for the night. 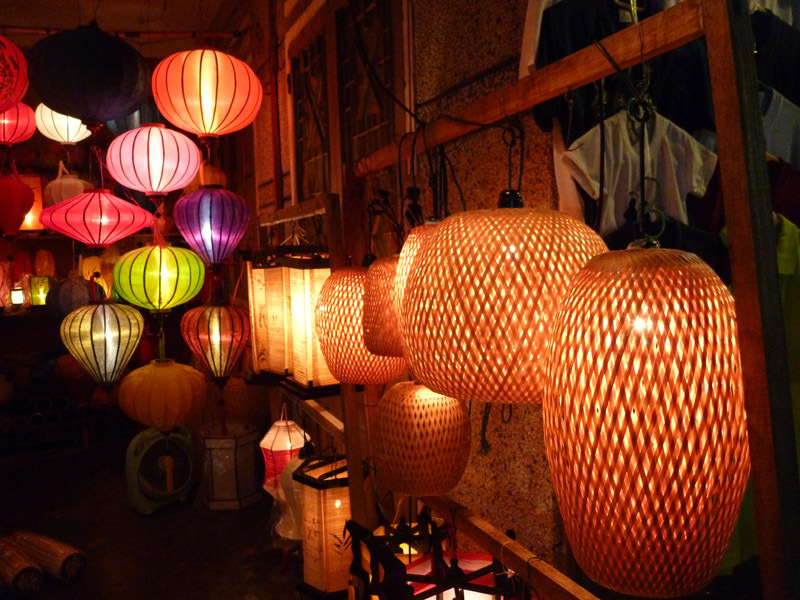 Your photos are fabulous & bring back such great memories of our visit to beautiful Vietnam almost 3 years ago! Yeah one bad experience but it certainly didn’t ruin the place. As far as a city goes it was by far my favourite in Vietnam. Great locale to catch up on some much-needed R and R! Wow your journey was quite impressive. 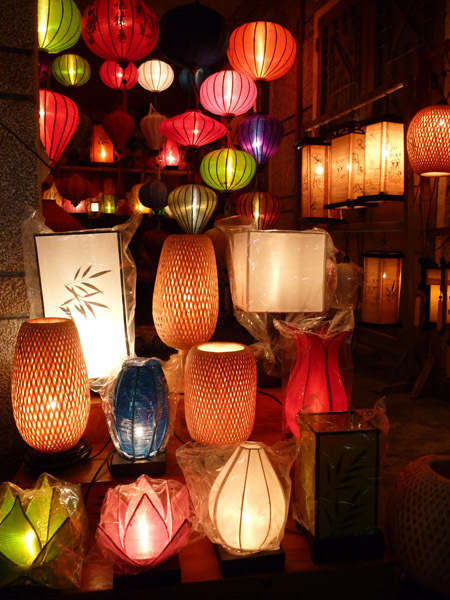 I really regret that you guys didn’t make a stopover in Da Nang. This city is great with beautiful landscape. The people here are very friendly and generous. Had we had an extra day or two to complete the trip we may just have stopped. There’s always next time.